Holding your newborn in your arms is overwhelming, but this also comes with sleep deprivation. It is true that newborns just cannot seem to sleep through the night! Every baby has their own pattern of waking and sleeping — some babies sleep a lot, some sleep in short naps. Some sleep through the whole night and some do not. It's also implausible to match your need for sleep, so try to catch up with your sleep when your baby sleeps. Almost all newborns are more asleep than they are awake. They sleep from 8 hours up to 16 or 18 hours. Some babies will be asleep for 8 hours or more at night, but this may not be true for all babies. Some babies can sleep up to 12 hours at night. Babies will sleep for 12 to 15 hours in total once they are a year old. Avoid waiting till the baby is too tired to put them to sleep, as babies who are overtired have more trouble falling and staying asleep. Try to fix the day-night sleep cycle from the beginning by teaching the baby that “night-time is for sleeping, and daytime is for fun.” During the day, try keeping the baby active and during the night avoid all stimulation. Once the baby is one month old, allow your baby to learn how to fall asleep by themselves. It’s not good to have the baby fall asleep and keep sleeping while feeding. When that happens, don’t continue the feeding. Some babies eat a little, doze for a while, eat again, for a few times. Missing the daytime feeds (do not let you baby be without the feeds for more than 4 hours). When this happens, look for ways to change your baby’s daytime habits. Always have realistic expectations. Catch up with your sleep when your baby sleeps. Consult the paediatrician if baby’s sleep pattern changes suddenly along with some symptoms of illness. WebMD. 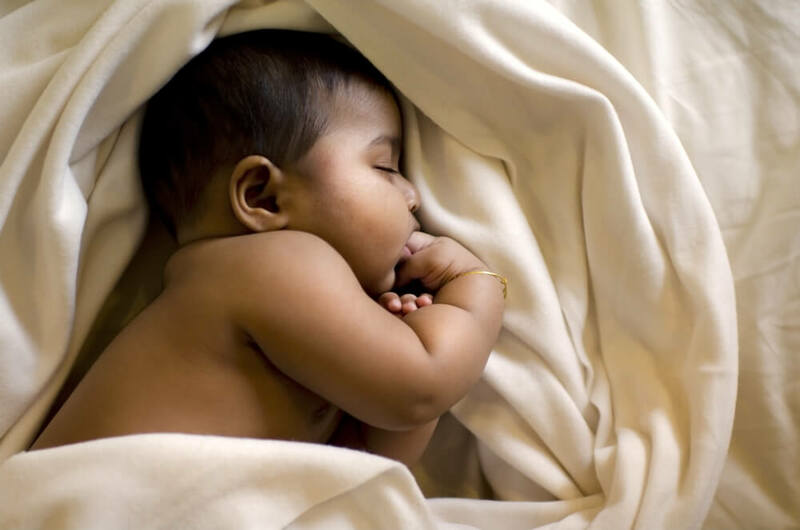 How to Set Good Sleep Patterns for Your Baby. Cited 2016 May 5. Available from: http://www.webmd.com/parenting/baby/sleep-naps-12/newborns. NHS choices. Helping your baby to sleep. Cited 2016 May 5. Available from: http://www.nhs.uk/conditions/pregnancy-and-baby/pages/getting-baby-to-sleep.aspx.